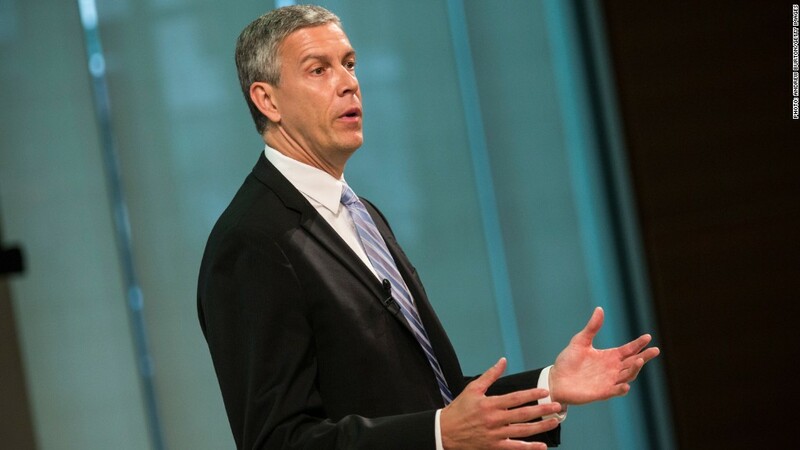 Education Secretary Arne Duncan says that student loan default rates are still too high. Things are finally starting to look up for student borrowers, with fewer of them defaulting on their loans. The percentage of students who defaulted on their federal loans within three years of their first payment fell to 13.7% from 14.7%, the Department of Education said Wednesday. But the number of defaults is still too high, Secretary of Education Arne Duncan said in a prepared statement. Borrowers go into default when they miss payments for 270 consecutive days. While the default rate has declined from 14.7%, it's still above 2012's rate of 13.4%. Defaults declined at schools including public, private, and for-profit institutions. For-profit institutions have the highest default rate, which stands at about 19%, while the rate is 13% for borrowers at public schools and 7% for students at private schools. For-profit schools are typically more expensive than public institutions and enroll more low-income students. "We're seeing a persistently high default rate at those schools that serve at-risk students," said Justin Draeger, the president at the National Association of Student Financial Aid Administration. Schools with high default rates can become ineligible for federal aid, including Pell grants. Twenty-one schools are in jeopardy this year. Most are for-profit schools, and a number of them are beauty colleges. Schools can appeal to the department of education to avoid the sanctions.